Java app for collecting thoughts using GTD methods. Is there a better alternative to Thinking Rock? Is Thinking Rock really the best app in Personal Info Managers category? Will Thinking Rock work good on macOS 10.13.4? Thinking Rock is a Java-based software application for collecting and processing your thoughts, following the GTD methodology. Thinking Rock allows you to collect your thoughts and process them into actions, projects, information or future possibilities. Actions can be done by you, delegated to someone else or scheduled for a particular date. 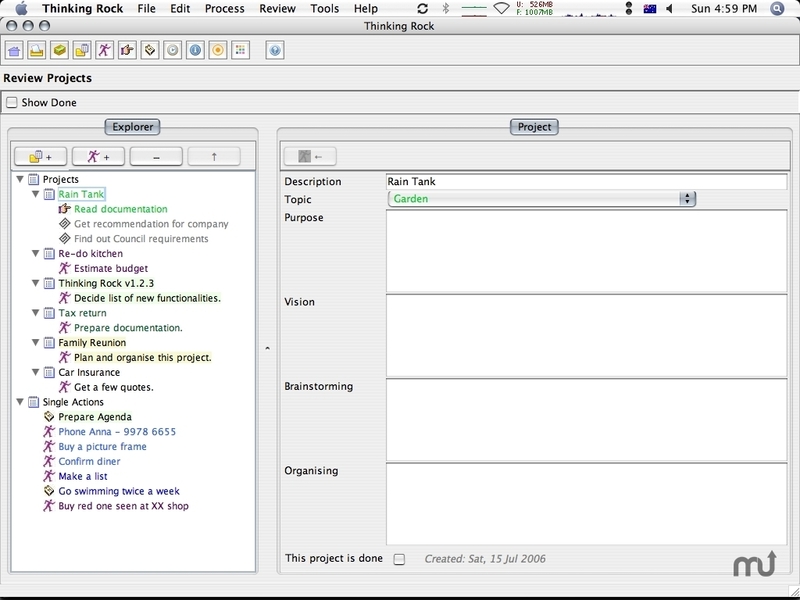 Projects can be organised with ordered actions and sub-projects. You can review all of your actions, projects and other information quickly and easily to see what you need to do or to choose what you want to do at a particular time.